Whether you just started dating someone or are hanging out a friend's, you're generally going to prefer that they not hear the symphony of sounds you're making in the bathroom. Sure, you can turn the shower on as a ruse—but our planet is strained enough as is. Fortunately for both you and Mother Earth, Akatu is here to help. Akatu is a simple app that performs a very necessary task. Once you tap open the app, you can choose from tap or shower sounds, depending on how, er... loud nature might be calling. You can even go on to adjust the "water flow," meaning you can perfectly match your sound levels. Sure, ideally you're at a place in your relationships where you don't NEED to cover up nature's bounty, but let's be realistic. Bodily functions are embarrassing, and one way or another, you're going to try to mask them as best you can. 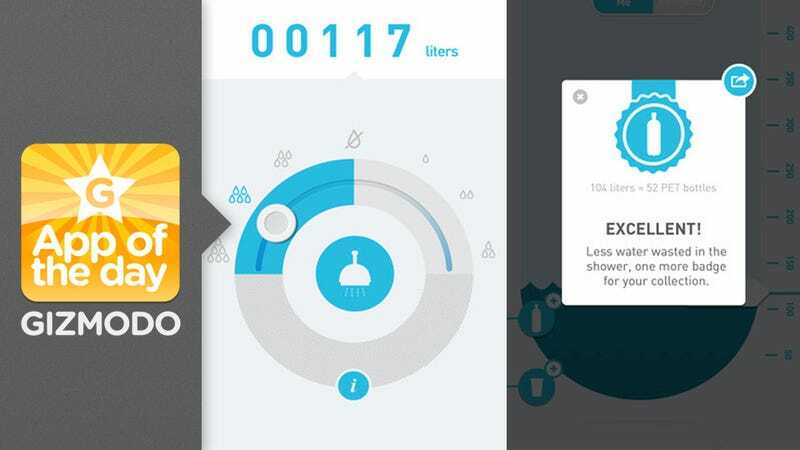 We might as well save water while we're saving face, so with Akatu, everyone wins. It even tells you just how much water you saved at the end of your shadooby session.